It’s very difficult for me to specifically say or even measure what fishing has meant to me. But I’m sure I share this sentiment with many anglers. Our lives have really been changed, and perhaps, if you are lucky like me, even sustained by water and the finned creatures that live in it. Sure, luck, hard work (and there’s been a lot more of that than you probably think), persistence, sacrifice and determination have all played a part in it. But fishing has definitely made my life more purposeful. So, I guess it’s only natural that I, like many other anglers, want to give back. I think woven in the very fabric of this wanting to give back are several like lines of thought. We anglers really want others to enjoy fishing, to get what we got out of it, and we want to know that its legacy will be in good hands. Never mind that these good hands may be small, chocolate- and/or Kool-Aid-stained, and are perhaps too often attached to a video game controller. Regardless, a lot of fishing’s future really lies in the generations to come. With this realization, there is always a great push among anglers to get ensuing generations involved in the sport. 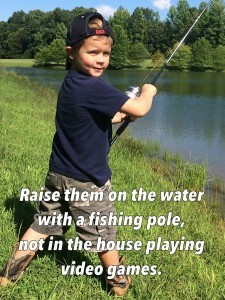 Now getting kids hooked on fishing is a famed hash-tag and slogan, of course. And it can be done on a grand scale, such as through youth fishing rodeos or other such special events with hundreds of youngsters taking part. Or it can simply be brought about via one rigged-up cane pole and a grandfather’s time spent with his grandchild at a farm pond. Whatever the course, the result is what we want to be the same–we want future generations to understand angling’s appeal. We want them to know and appreciate its value, and we hope they will likewise pass this knowledge on. And oh sure, some kids are going to eat it up, hook, line and famed sinker. And others won’t. But I think it’s important that all be given a chance and an education on enjoying our natural world. We humans are, after all, a part of it…despite sometimes making the mistake of thinking we’re above it all (we’re not). It is as a famous environmentalist once said, nature is not a place to visit; it is home. And we need to love and cherish home. But a lot of people never get a chance to explore nature…they’ve never been fishing, as hard as that is for me to imagine. And I guess a big question is how can future generations care about our lakes, rivers and reservoirs, if they have never been exposed to them? It’s really hard to convince someone, of any age, to care about something–to accurately measure and weigh something’s importance–if they have never enjoyed it firsthand. Oh we harp on taking youngsters fishing, and it’s well and VERY good to do that. 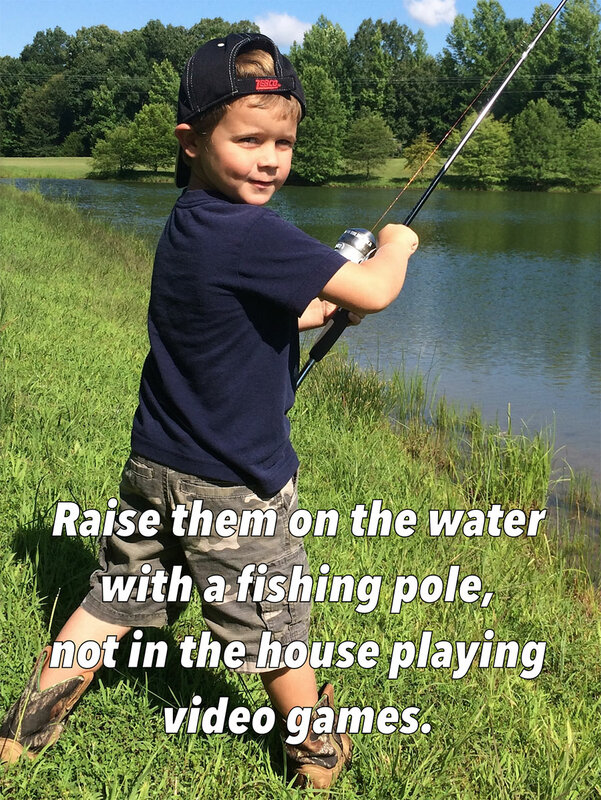 But honestly, we probably ought to more accurately preach to take anyone fishing, no matter the age. I believe the key long-term conservation goals for our sport is having people know of its value. Will would-be recruits to the world of hooks and lines all be onboard for a fishing trip every weekend? Well, no, not everyone is as die-hard as you and I. 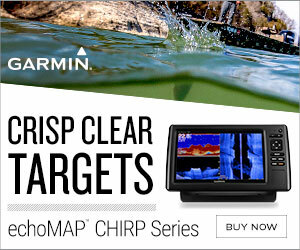 But after going on a fishing trip or two, more will certainly recognize fishing’s importance. Who knows, perhaps they too will see the magic if not meaning in it? So, for the future of fishing, consider introducing someone else to our sport. I think you will be surprised at some of the fun you’ll rediscover while helping someone else understand why fishing is so worthwhile to us.